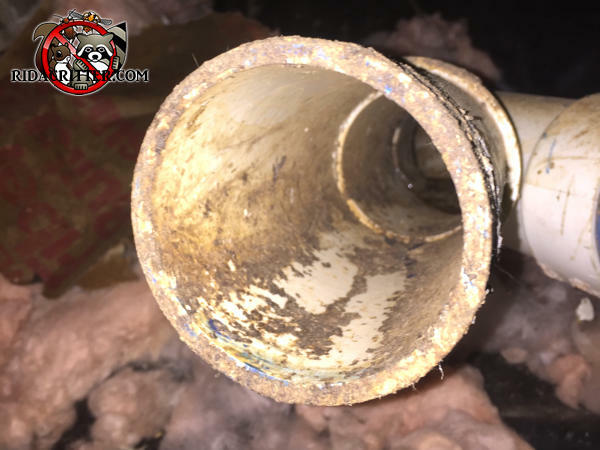 What's interesting (and disgusting) about this situation is that the bottom of the pipe is less dirty that the rest of it. That's because the... stuff that was flowing through the pipe at one point was even dirtier than the rat, so the rat's feet sort of cleared it away from the pipe. Why the pipe was left open like that, I have no idea. Most likely a bathroom was moved from one place to another, and the plumber didn't bother sealing up the old pipe.